Home » How To Blog Sessions » Blogger vs WordPress: Which is better? Welcome to HiTricks! Here in this session we will learn: Blogger vs WordPress: What is better? As you have made up your mind to start blogging, you will at first come across the two giant blogging softwares, Blogger and WordPress. You have to choose one between them before starting blogging. This is the base and this decides the future of your blog. Here we are discussing the advantages of blogger and wordpress. In our previous session, we discussed: How to Blog? There we gave a brief idea about blogging and why should you choose blogging. Before discussing the advantages, you should know how these two websites work. WordPress is your own blogging software. You can use your own domain name, and set up your own user-friendly website, having tons of customizations of your own, and aided with thousands of useful addons called plugins that helps you manage the site. In a word, its a complete solution of everything you need for blogging. All expert bloggers use wordpress for blogging because wordpress is professional as well. A wordpress site will give an attractive look, will be user-friendly, optimized for mobile viewing, seo friendly etc. But in wordpress you need a hosting for your blog. Hosting is the space on the web to host all the articles and contents you upload on your blog. Without hosting, a wordpress will not work. Generally people do not choose wordpress for this hosting, it costs money, but, on HiTricks, we will provide 100% Free Hosting for LifeTime! Choose your own domain name and you are good to go! Blogger is a blogging website created by google itself, to help the newbie bloggers with free web hosting via google. You know that each new google account gives you 15GB of fre storage space for storing your emails, google drive articles etc. Google utilizes this 15GB space to offer free hosting to its bloggers. So if you have your own domain, you can link it with blogger and start blogging. Blogger vs WordPress: What should you choose? 1. Own your website: In blogger you get a .blogspot domain to start, which you can rename afterwards and keep your own url, but the property you are using is of google. Remember, you are using that free 15GB Google storage that it gives to all. So Google owns the site. If google finds anything suspectful in your website, they will chop off your site permanently. There are many bloggers whose site got banned and deleted by google sue to various reasons. But in wordpress, you own your property, nobody can ever delete your property. This can be of immense benefit for long term blogs. 2. SEO: The full form of SEO is Search Engine Optimization. It is the way of customizing your website to get more search engine attention than the others. In a easier way, to crawl up in the search engine results. When you search for anything on google, you will see some websites come to the topmost position in the search results. Gradually over time, you tend to remember those site names and often choose those sites as your reference. These sites are optimized to come to the top of the search results. Its very hard to optimize a post by one’s own. In blogger we get no tools for that, but in wordpress, we get thousands of seo tools to fully optimize our content. 3. High Quality Website: WordPress gives you the power to build your dream website equipped with tons of themes, layouts, fonts, plugin addons etc that make your blogging life easier. As we said, wordpress is entirely made for blogging, so it has the tools for efficient blogging. 4. Adsense: Earn Money: Adsense is a program by google to show ads on your blog, in turn of which you get paid when anyone clicks your ads. It needs a one time approval procedure to begin. Unfortunately, being a google product itself, google hardly approves bloggers for adsense program. As google blogger is free, thousands of bloggers make an average blog and tend to get approvals for their site. Due to this enormous competetions, google rejects almost every adsense requests. On the other hand, if you are on self-hosted wordpress, getting adsense approval becomes easiest. For some unknown reason, a good wordpress blog always gets adsense approval where a better blogger blog could’t manage an adsense for months! 5. More: There are more reasons where wordpress gets priority over blogger. Like, you can optimize images of your blog, you can make a subdomain of your own domain, like we have recharge.hitricks.com subdomain. After getting our own domain name, we can create as many subdomain as we like and do what we wish. You won’t get the idea of degree of freedom you get on wordpress. Blogger: Get just a blog, without any helpful tools to customize your posts, struggle months for adsense approvals, get rejected several times, finally get an approval after a year to two. Then suddenly google may seize your website and all your contents may get deleted! WordPress: Start your blogging career strong, with hitricks you can get 100% Free Hosting. Hosting is the thing we all need to pay for, while remaining on wordpress. Many people do not have the money to pay for hostings, as it costs really high per month. But in your case, you have no need to worry, we will offer you free hosting with step by step guide. So, no worries at all. You can get access of every aspect of wordpress, the specialized tools to rank your site top on every search engines. So, we have compared wordpress vs blogger and gave you an overall idea of both. We also pointed out the advantages of wordpress. Hope you have liked it. 1. Prerequisites for starting blogging career with wordpress. 2. Step by step guide to start your blog with wordpress. 3. Do you have a google blogger? Avail free hosting and import your blog to wordpress with our step by step guide. 4. 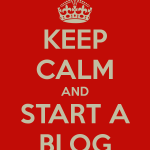 Start your own blog: We are beside you! Thank for reading. Do share our aticle if you like it. Keep visiting. Thanks for this post. I wanted to know the easiest way to get Adsense. Now I found it.